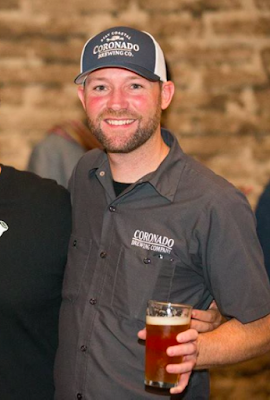 Longtime Coronado Brewing Company head brewer Ryan Brooks will soon unveil SouthNorte Beer Company, an American brewery that blends the rustic flair of Mexico with the art of San Diego craft brewing - backed by Coronado Brewing co-founders Rick & Ron Chapman. SouthNorte aims to celebrate the intersection of two cultures - Mexican & American - and believes that life’s richest possibilities are found at the crossroads. The brand identifies with the areas of Southern California and Northern Mexico, and was born from the border culture and mutual influences each region has on the other. The brewery will launch this summer with an emphasis on creating refreshing beers that lend themselves to social drinking. "The more time I spent in Mexico with my family the more inspired by and attached to the Mexican culture I became," said Ryan Brooks, cofounder & Brewmaster of SouthNorte. "With SouthNorte, I want share my love of that culture and transport the U.S. craft beer drinker by letting them experience the vibrant and unique flavors of Mexico wherever they are." For more information, visit southnorte.com.